This internet control in Iran is mirrored by the left’s internet control here in the US. 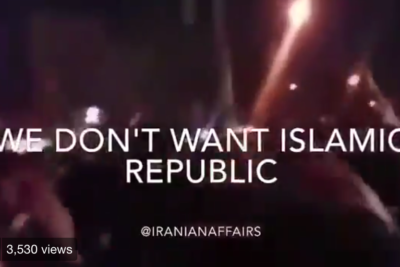 Facebook, Google, YouTube are imposing the same sharia restrictions as the brutal regime in Iran. Think about that. 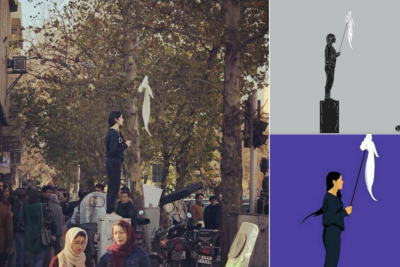 The Iranian woman who protested the country’s ‘modesty’ dress code by standing on a pillar box in Tehran and waving a hijab, is missing and feared to have been arrested. Where are the women’s rights posers? Where are the champions of … what did they call it? Oh yes, the “Arab Spring” — that great euphemism for the oppressive islamic supremacist movement that sought to overthrow secular rule for the vicious and brutal and sharia. 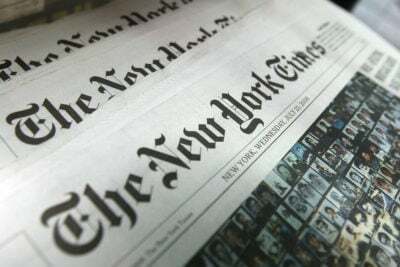 The New York Times is standing with the Islamic regime in Iran and Iran proxy Hizb’Allah, which has, like the Times, “dismissed” the protests. 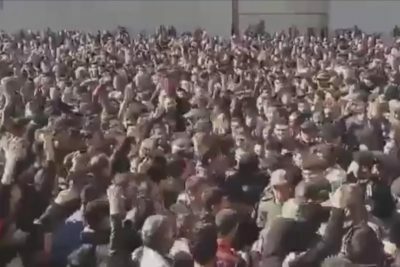 IRAN FREEDOM REVOLUTION: Over a thousand arrested, 22 dead. Young students among the dead, 13 and 15 year olds. 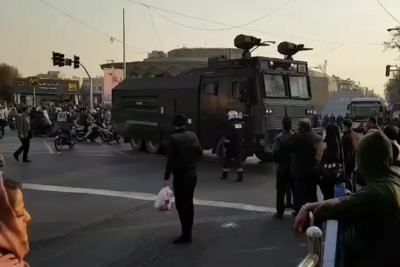 A majority of those arrested in Iran during recent anti-government protests were young people, mainly students, the Iranian education minister said on Wednesday. President Trump and Vice President Mike Pence are said to be closely monitoring the situation and working to warn Iran’s ruling regime that “this will not be a repeat of the 2009 demonstrations,” according to a senior administration official briefed on the situation. Enemedia outlets such as The New York Times are reporting on President Rouhani’s conciliatory words (while his government is killing people). And old leftist dinosaurs such as The Atlantic insist that it is President Trump who “doesn’t understand what’s happening in Iran.” But they do. 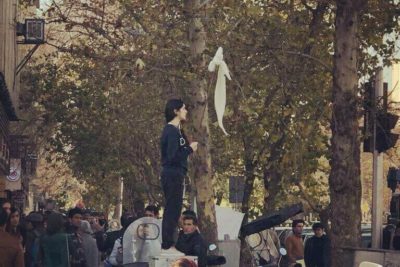 In Iran, we see an entire nation of women, Muslim women, standing up against the hijab. Are they, too, islamophobes? We need to get arms to these people and help them usher in 2018, the year of freedom. Here’s to hoping the Iranians can recreate what happened in June 2009. Obama failed them. Trump will not. This is a historic moment. Thank heaven we have a President who stands for freedom and individual rights. Thanks to Obama, the Iranian people who marched for freedom were routed, raped, defeated en masse. Seven more years of crushing oppression followed. I believe the election of President Trump empowered the people. Back in June of 2009, the American government under the Obama regime, abandoned the only true freedom movement in the Middle East. Actually, it was worse than that, Obama aided and abetted the murdering mullahs. We can right that horrible, terrible wrong.